​In an era where the growing demand for HD games, movies and images needs to be meet, one will at one point or the other need an SD (Secure Digital) card to store various files. A memory card is a data storage device used for storing and transfering data between devices. They are hugely popular in portable electronic devices such as laptops, mobile phones, digital camera and pianos, video game consoles, PDAs and many others. The first memory card to ever exist was the PC Cards, but as technology advanced, other formats followed behind and today, the war has turned in SD Card’s favor. It’s apparent that the range and choices of SD cards differs, some memory cards may not be compatible with certain devices, both in terms of size and storage. Getting an electronic device isn’t a problem, but figuring out which card to buy can sometimes be intimidating​. But you should keep in mind that the physical size of a card, its storage space, format and class rating matters a lot. This topic now brings us to the TF Card, MicroSD, MicroSDHC and MicroSDXC​ memory card formats. Let’s see the differences. Have you ever been in a situation were you had to choose a Chinese branded tablet over a mainstream brand only to discover that it has a TF Card slot? At this stage, you’d be wondering what TF Card means and/or if it is the same with MicroSD card. 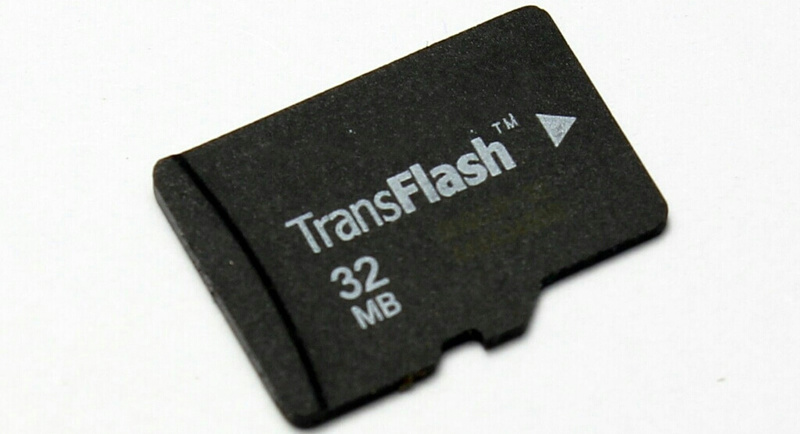 TF Card also known as TransFlash was one of the first memory card to ever exist. They were originally sold in 16MB and 32MB sizes before being renamed to microSD when it got adopted by the SD Card Association (SDA). In summary, when you purchase a device that asks for a TF Card, simply stick in the slot a microSD or MicroSDHC memory card and it should work just fine. Now that you have learnt what TF Card means, it’s time we reveal the various sizes of SD card and in conjunction with usability. SD cards come in three physical sizes which are namely; SD, MiniSD and MicroSD. The normal-sized SD cards are the largest, and are found in use with laptops, desktops and digital cameras. MiniSD cards are smaller and have mostly fallen out of favour. They aren’t in use anymore but can be found in older devices and some digital cameras. 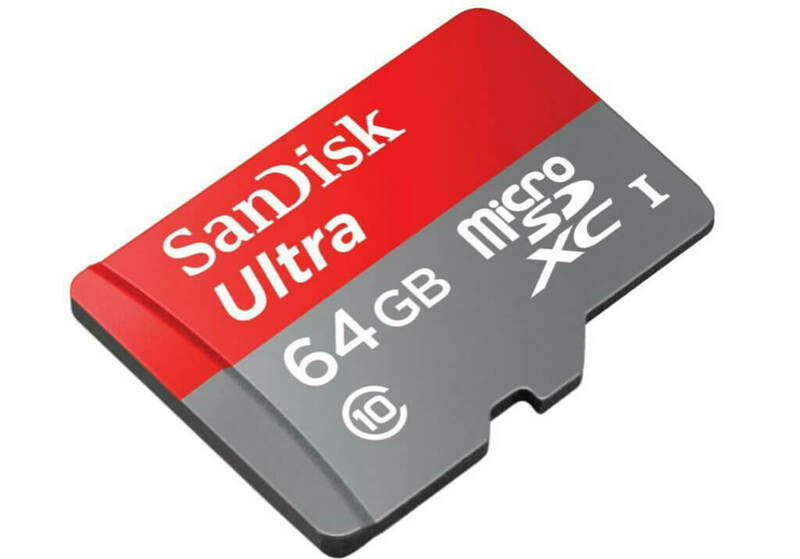 MicroSD cards are the smallest, at 15 mm × 11 mm × 1 mm (which is about the size of a fingernail) and they have found popularity as the cards of choice for mobile phones and other electronic gadgets. MicroSD which stands for Secure Digital are a special brand of removable flash memory card that mostly have one main purpose, to store data. They are about a quarter of the size of a standard ​SD card and are sold in many sizes, from 4MB to 2GB. 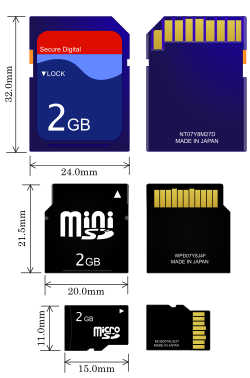 MicroSD cards are mostly sold with a normal-sized adapter, so that they can be used in devices that accept standard SD instead of microSD cards. 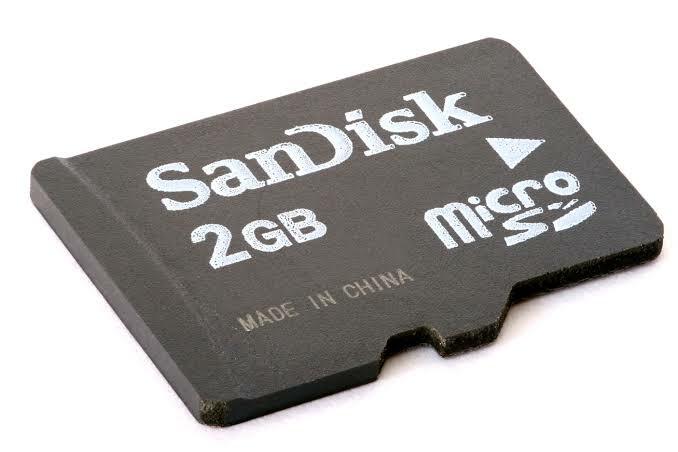 Knowing fully well that 2GB is a small amount of data storage, SanDisk went further to introduce an additional storage format known as SDHC, which stands for Secure Digital High Capacity and are sold in sizes between 4GB to 32GB. MicroSDHC are a newer version of microSD cards, but they aren’t​ backward compatible. This means that older devices that can only read SD cards cannot use SDHC cards. But SDHC compatible devices can use SD cards. MicroSDXC (Secure Digital eXtended Capacity) are the largest and latest memory cards on the market. They are sold in sizes between 64GB and 256GB. As of now, there are only but a few devices that can use the SDXC format, but with time, when the data need of users increase, its popularity will skyrocket. We previously mentiomentioned that Class Rating is one of the important things to take into consideration when trying to choose a good memory card. The speed of an SD card generally depends on the class, so a class 10 SDHC card will obviously be faster than a class 2 SDHC card. In other words, the class rating of an SD card determines how fast it can read and write information. Having a memory card with slow read and write speed can ‘drastically’ impact the performance of a device, as it will probably spend a whole lot of time trying to read and write data. Issues like this are noticeable while watching high definition videos on your phone, where an SD card with slow speed can cause jittery playback. Hence, it is recommended that if your device manual suggests a microSDHC card of speed Class 4 as a minimum, then you should insert a Class 4, Class 6 or Class 10 SDHC in it, not a Class 2 card as this may reduce the performance of the device. Below are the minimum speed capability of each SD card class depending on the manufacturer. So it’s recommended to purchase a memory card with higher class rating, especially if you are planning to watch HD movies and/or writing/reading a lot of data off the card. Cheap memory cards have lower class ratings, and will likely affect the performance of your device. But it’s up to you on which to buy, depending on your budget. The difference between a TF Card, microSD, SDHC and SDXC cards are dependent on size, class ratings and on the type of storage format used. But you should note that the physical size and storage size of an SD card aren’t mutually related. It is possible to find​ SDHC and SDXC cards that can store a slew of data even though they are very small. But MicroSD cards are sometimes hard to get but with a little struggle, you might be able to find one. So these are everything there is to know about the TF Card, microSD, microSDHC and MicroSDXC memory card formats.